I just need to figur out who makes it and how i can get my hands on a million gallons or so. Screw welbutrin...this would be the new medium. Imagine going to a party and looking for joy...All you would have to do is look in the fridge and pop one open. Hell, Ren and stimpy could have used this instead of the happy helmet. 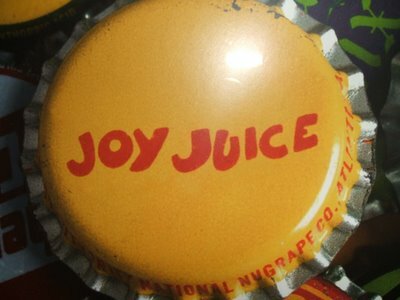 Joy Juice, where have you been all my life. Gregory...imagine telling your kids, "Daddy needs some juice," and having them bring you this back. I am a genious and may run for president. On another note. 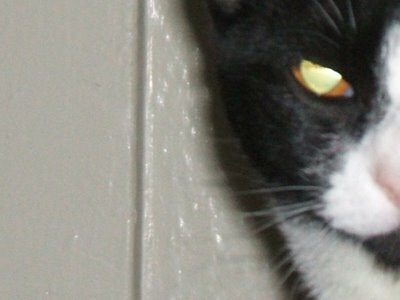 I took this random picture of one of our cats. 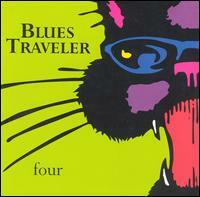 Kind of reminds me of the Blues travelers album, Four. I don't know... a little different but I should get creative points. And don't give me the "It's out of focus. ", crap. That adds to the artistic flair. Anywhoooo. I hope you all are doing well. I am managing through the mundaneness of it all. Out until i snap some more cool photos.